Over the years we have had 6 children and with that comes many bikes in different sizes and styles. One thing we have never had are bike racks to store them on when it is out of season here to ride them. This is where a bike rack like this comes in. 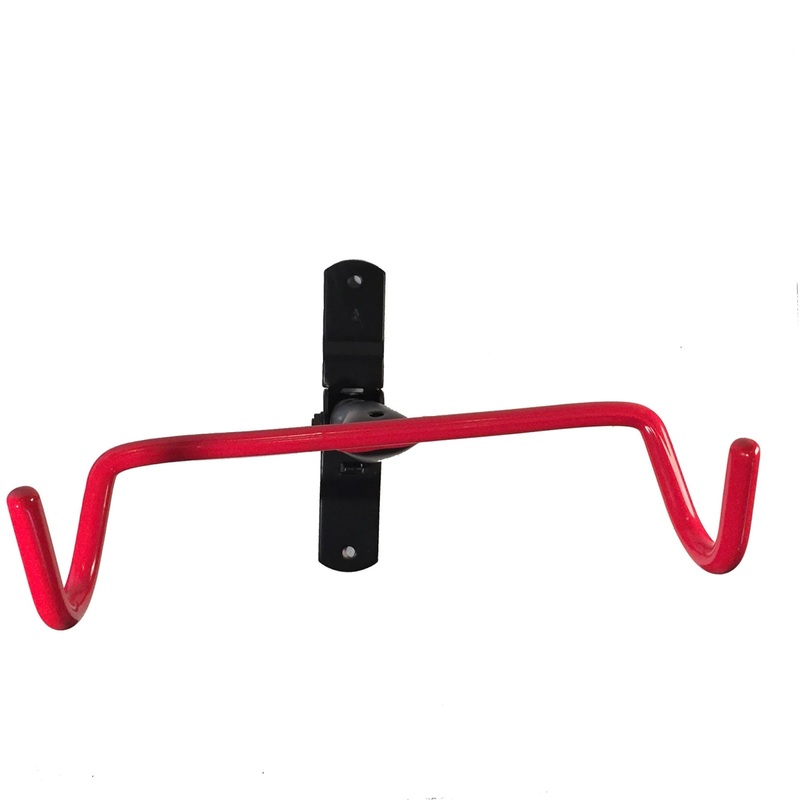 What I liked most about this bike rack is that it came with all of the hardware to be able to attach it to a wall in a sturdy and safe way that will hold the weight of a bicycle in between uses or in our case between seasons, which keeps our porch floor clear for other in season products. This would be great on a porch like ours or in a garage. I have even seen something like this one walls in apartments in the city for easy storage and use. You can find this bike rack on Amazon. What Clarion has to say about their product. Wall Mount Bike Rack, Steel Construction, Soft Rubber Coated. Heavy Duty Mounting Hardware Included. Folds Upward When Not in Use. All Bicycle Types. - Strong Solid Steel Construction - Load Capacity up to 66 pounds. - Rubber Coating Ensures No Scratching. Folds Upwards When Not in Use. - Comes With 2 Sets of Custom Heavy Duty Mounting Hardware for Hollow Walls or Wood Studs - Easy to Install. - Suitable for All Kinds of Bicycles - Mountain Bikes, Folding Bikes, Road Bikes, Beach Bikes, etc. Disclosure: MarksvilleandMe Clarion. Regardless, MarksvilleandMe only recommends products or services we use personally and believe will be good for our readers. Some of the links in the article may be “affiliate links.” This means if you click on the link and purchase the item, I will receive compensation. If you would like MarksvilleandMe to review a product or service please contact us at marksvilleandme@gmail.com.